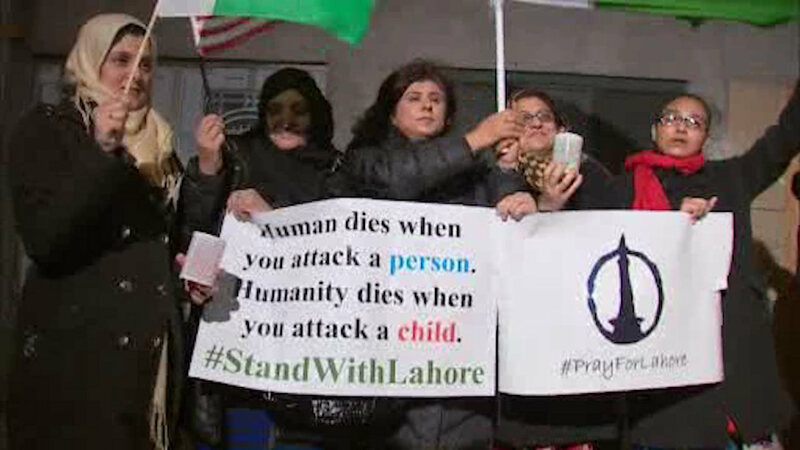 FLATBUSH, Brooklyn (WABC) -- There was a somber interfaith vigil in Brooklyn Monday night for the victims of the deadly terror attack in Pakistan on Easter. Dozens of people gathered in Flatbush in honor of the victims of the suicide bombing that killed 72 people. The blast went off in a park in Lahore on Sunday. The bomber meant to target Christians celebrating Easter, but most of the victims were Muslim women and children. A Taliban faction that supports ISIS has claimed responsibility for the attack.